Yeh, Yeh, it’s Georgie Fame! Georgie Fame, with his much loved blend of Jazz and Rhythm & Blues, has consistently worked in the highest musical circles and is an icon of the British music scene. “There’s no point in doing it when Georgie Fame could do it ten times better” - Bill Wyman The legendary keyboard player/vocalist has enjoyed a varied career for over 50 years, criss-crossing the musical boundaries of pop, rock'n'roll, jazz, rhythm & blues and swing. So far, there have been more than twenty albums and fourteen hit singles, including the Number 1’s: ‘Yeh Yeh’, ‘Getaway’ and ‘The Ballad of Bonnie and Clyde’. Add to this a long list of collaborations with some of music’s most famous names: Muddy Waters, Gene Vincent, Bill Wyman, Eric Clapton and Van Morrison, amongst many others, and in Georgie Fame you have bona fide Musical Legend. Georgie Fame performs at The Apex on Thursday 12 April at 7.30pm. 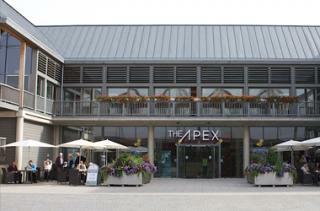 Tickets are £25, ring the box office on 01284 758000 or see the website - www.theapex.co.uk for details.